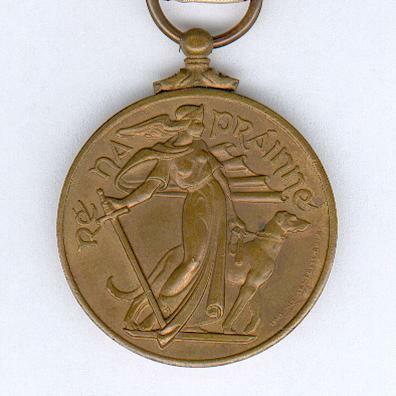 Circular gilt bronze medal with scroll and laterally-pierced ball for ribbon suspension; the face with a full-length classically-dressed female figure representative of Ireland, a sword in her right hand, the point resting at her feet, an Irish wolfhound standing behind her, its leash in her left hand, circumscribed ‘Ré na Práinne’ (Emergency Period) in Old Gaelic script, signed ‘LAWRENCE CAMPBELL. 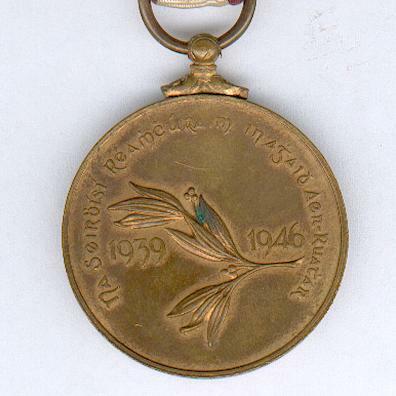 R.H.A’; the reverse with a laurel branch centrally, the dates ‘1939’ and 1946’ to left and right respectively, circumscribed ‘Na Seirbhíse Reamhcuraim In Aghaidh Aer-Ruathar’ (Air Raid Precautions Organisations) in Old Gaelic script; the gilding faded; on original ribbon with ‘1939 - 1946’ bronze bar and with top gilt bar for wear inscribed ‘Seirbís Náisiúnta’ (National Service) in Old Gaelic script, the reverse with pin for wear. 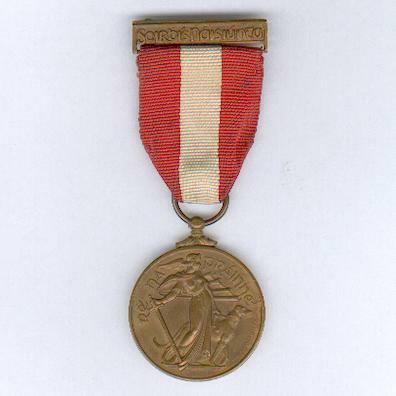 The Medal was instituted on 6 October 1944 to reward service during World War II, referred to in Ireland as the ‘Emergency Period’, Ireland remaining neutral but vigilant. 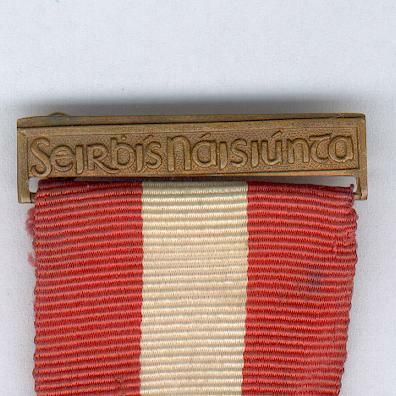 The Medal had eleven variations of the reverse for different service units. This example is for the civilian passive defence, rescue, warden and fire service established in 1943 under the operational control of the Departmentt of Defence. 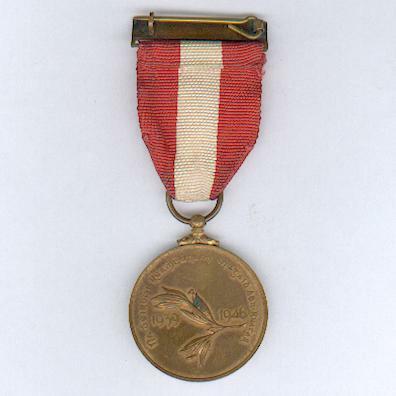 A minimum of two years’ service was required to gain this medal. 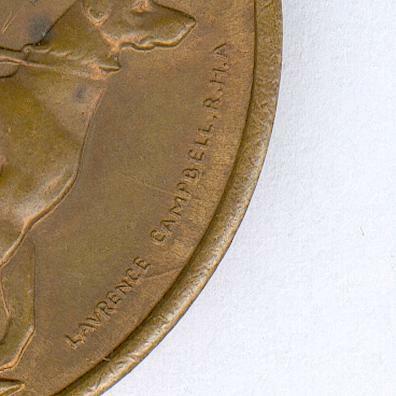 In practice, it was not until 1947 that the medal was manufactured and distributed. This version of the medal is comparatively rare.